San Diego Studio and Zindagi Games were blown away by the success of the multi-million unit-seller Sports Champions and with the newly announced Sports Champions 2, we’re looking forward to providing new experiences for everyone to enjoy with an expanded sporting lineup featuring Skiing, Boxing, Tennis, Golf, Bowling, and a fully updated Archery experience. Sports Champions 2 revives favorite features, including the surprisingly deep and challenging single-player Cup Play and the customizable Free Play mode, plus fun arcade Challenge rounds for each event. We’ve made a ton of improvements, too: Three-point PS Move calibration is no longer required (and it won’t sacrifice gameplay; player avatars can be created and customized per event; a new profile system enables everyone in the house to play together with their own avatars and settings; and the photo booth is more customizable and easier to use. There’s also an all-new Party Play mode that I can’t wait to show off because it’s the perfect way to play with your friends and family on game night. You can play matches from any combination of events, including Challenge Rounds, and add up your score to see who reigns as the party champion. You can create your own match playlist, see photos and voices from each player during the game, and draw something humiliating (or nice!) on the hapless loser. 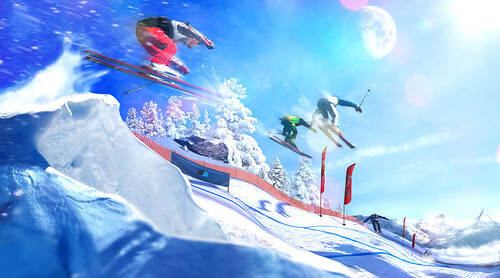 We can’t wait to show more on Sports Champions 2, coming to PS3 this fall. Check back soon on PlayStation.Blog for more updates! Awesome! Loved the first one! Thank you for your suppor! I really enjoyed certain aspects of Sports Champions (Bocce and Archery especially) and I’m excited to give this a look when it releases! One question…will there be any character creation and/or leveling up in this iteration? PS Eye camera seems like the perfect way to do character creation, not to mention the fact that San Diego Studios already has a decent character editor in The Show, and I’d love it if I could improve my athlete’s attributes in different sports when playing single player! Create a avatar option is yes, and you can even customize per event if you’d like. Character performance is all driven by the user with control assistance lessened as you progress like in SC1. Thanks for the questions. Create an Avatar is yes, and all with in game SC2 assets. Forgot to mention this above, but there are more uses for photos in SC2. Hopefully can share more on this later. I thought the first Sports Champions was amazing and under-rated! My favorite sport was Table Tennis because you implemented all the spins so well, when you played at a high difficulty you really felt like you were controlling the paddle 1 to 1. I competed in Table Tennis when I was younger so I really feel it’s a testament to how well you implemented it. Hard/short angled, drop shots and lots of other shots registered so well. 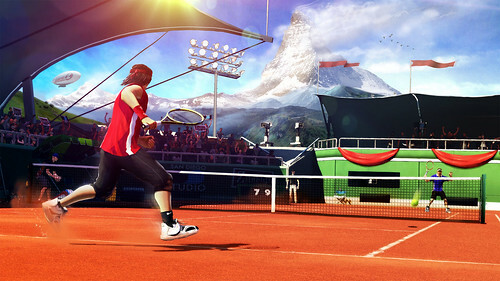 That’s why I am really excited about your tennis mode. I really hope you include an advanced mode, like in Table Tennis, where it really registers your top-spins, slices, angles etc. Tennis is my favorite sport in real-life as well and competed in it. Hope you don’t disappoint! It better be better than Virtua Tennis, Top Spin and Gran Slam Tennis (Move control wise, I don’t expect the depth of content since you cover multiple sports). Thanks for the comment. Our primary goal on SC1 and still holds true on SC2 is to have the best motion mechanics of any game. As with SC1 control assistance decreases as you progressfor very competitive players like yourself. Awesome. Really enjoyed the first one. Nice! This is what the first Sports Champion should have been. Probably would have sold more PS Move’s for sure. Definitely going to pick this up! I’m still not fond of the stylised humans, either fully realistic like Rockstar Presents Table Tennis or fully stylised like LittleBigPlanet would have been preferable for me. If SC1 Table Tennis is anything to go by, we may have our first decent motion controlled tennis game here. WILL THERE BE ONLINE PLAY??? We totally understand the desire for online multiplayer, but this is a feature we unfortunately are unable to support given our constraints. This decision was not made without careful consideration. A very bare bones online multiplayer implementation might have been possible if we cut enough of our new features (Ex. Calibration free gameplay, Party Play and Create-A-Player), but we weren’t okay with doing online multiplayer unless we could do it right and without sacrificing so much to the rest of the game. Hopefully the vastly improved local multiplayer experience in SC2 helps with this news. As we feel that with SC2 we are catering to that group of friends and family gameplay in a much better way than what was possible on SC1. Yes!! Love the first one, even though I am 24 years of age. Still love the move.Will be picking this one up. Keep up the good work. Thank you for the support DaPinz! I would like to see how far this one goes. I was a real fan of the first one and I hope they improved on it a lot more. I also hope they price it well. I have been a PS3 fan boy all my life but Sony really has to work on finding that great price point for all of their products. It is in this area that they are shooting themself in the foot. All Move required games retail for $39.99, SC2 will too. Super !!! What about multiplayer ? CAN’T WAIT!!! These guys are masters with the move GO ZINDAGI. SC1 is still around, and I think is a great compliment to SC2. Don’t want to get your hopes up, so I’d say entire event downloads is probably unlikely for SC2. @9 Online play would be great! – Home avatar integration: it works a lot in sport games on other plataforms, people will love to see their own avatars playing this game! – DLC with Sony characters, like Drake, Kratos, Cole, Chimeras, etc. I’ve asked on SC1 and SC2 but unfortunately Home avatar integration is not possible. However, SC2 create an avatar is getting tons of great feedback so hopefully you will agree. We did some DLC characters on SC1, this is possible on SC2 as well. Agreed would be nice to have some outside of SC universe characters make an experience. Ok so here is what I think about PS Move…I still have not been sold. Yesterday I even went to my local Sony store, and tested Sorcery and I calibration was a mess. It was not accurate at all, and it was one game I was really looking forward to test out to see if I will be sold. Mind you I didn’t like how the store set-up. The TV was pretty high up, and the camera was sitting on top………. Look forward to seeing you at E3! And what will we have to do to make you add online play into this? I don’t really have the space needed to have another player, but I still want to play virtual tennis with my friends (and punch their faces off, of course)! Thanks for the heads up Jeremy. Loved the first one and so glad there’s another coming out. Great use of the Move and hopefully even better in the second. Also playing Sorcery and I have to say, I’m loving that Move game as well. Pay attention to the characters in the game and the people playing them….. It definitely looks like character customization is in full effect. Disc golf was the best, why get rid of it i was hoping they would had actual stability to the discs. The tennis looks cool personally i think the bowling and boxing are played out but they should work well with the move. I just don’t understand why you leave out the original stuff like disc golf and ping pong when there are games already out there for golf (tiger woods), boxing(the fight), tennis(top spin, virtua tennis) and skiing(winter stars). SC2 is not meant to replace SC1, but to compliment it. Our primary goal is to provide the best motion controls available, so we do not base our event decisions on shying away from popular sports just because another game on the same platform or another platform has done a version. On SC1 it was actually kind of nice to have some direct comparison with something like Table Tennis for example to clearly see a closer to apples to apples comparison. There were, probably still are, some great user Youtube videos highlighting the differences in control that were awesome for the team to see. This makes me VERY happy. Sports Champions was by far the best Move game, and Zindagi are absolute beasts with Move. I will buy this day 1. Thanks for the support, and completely agree on Zindagi comment! I hate to be that guy, but what happened to the PS Plus update? So everything that we had in the first one is coming back right ? Table Tennis and others? I do have another question how come I can never get my move to calibrate on the first try. Every time I play this game it takes multiple times just to play the game. Its gets frustrating and nobody seems to have an answer. I have called Sony and the response I was giving was ask a question in the forum and see if someone an answer. Which I think is a horrible excuse and bad customer service. It would be nice if someone could really answer the question of why it takes multiple times to calibrate the move just to play the game. Event list is all new, except the updated Archery. SC2 is not meant to replace SC1, but rather compliment it. I’m not very good at the support issue thing sorry, but that is not something we see here consistently like you describe. I do know that part really wants you to be still, and sometimes people think they are being still but are moving a little bit more than the tolerance. Coincidentally we were actually talking about seeing if we can safely increase this tolerance without impacting the game for SC2, because the setup/system is slightly different. I will buy this day 1, love the first. Thank you for the support Scuzzlebutt33! “with an expanded sporting lineup” kind of hoping the expanded bit would mean the ones from the previous game are with it too then..
Great game, guys. I look forward to it. Gladiator mode from the first Sports Champions is still a great time (and a great workout)! Can we get some more DLC for the first game’s events to coincide with the 2nd game? These aren’t the type of games where you’d move from one to the next – I’d like to challenge someone in boxing and then take it to the arena for weapons-based combat. Bocce, let’s get more stages for bocce! 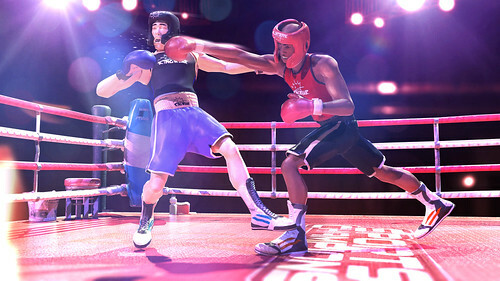 Could you include a fitness mode for boxing? I like getting a workout from The Fight: Lights Out, and can see the boxing mode in this game having the same potential. Okay, I have an issue with this. While I think this game looks pretty wonderful, and I can’t tell you how happy I am to see bowling included, the controller thing that showed up in the first game is still putting me off. The majority of people who own a Playstation Move set own ONE move controller and ONE navigation controller, yet none of sports champtions’ events utilize the nav controller. Instead, several (like archery in the first and now apparently boxing/sparring) require TWO move controllers to get the full experience! I just can’t support that, especially when I saw the shot of the two kids playing the boxing game, each with two move controllers. What family owns four move controllers?! That’s freaking ridiculous!!!!! Like with SC1 all events in SC2 are meant to be enjoyable with 1 controller per player. 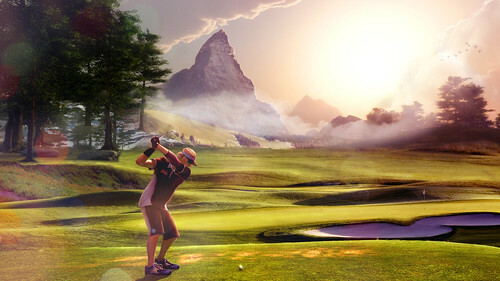 The turn based events like Bowling and Golf are playable by up to 4 players with just 1 controller. It is true that some probably even most people will find some of the events, especially boxing, better using 2 controllers per player. I don’t know how many homes have access to 4 move controllers (either ones they own or other friends they can also borrow for a party), but we only assume 1 controller is around and do our best to make that experience as enjoyable as possible. For example on SC1 and Medieval Moves for that matter some people swear by 2 controller Archery, but in general I prefer 1 controller when playing Archery. People have different preferences, and so we want to give you the choice whenever feasible. We do not support the Nav controller (although experimented a lot with it) because it would mean compromising the motion control experience we are trying for, which we think is the most important aspect of our games. Yo jermey hows the porshe. haha i love what you guys are doing with the game and in game avi’s is something that going to set a standard for all games on the ps brand. I love hoe you guys upgraded this. Enjoyed the first one, didn’t like that you couldn’t play online but I enjoyed ping pong (although sometimes I felt limited) and Frisbee golf as well as every other one the the for mentioned being my favorites. I definitely think it will be cool being able to customize your own character and the graphics and game mechanics to so much more improved. So i’ll probably pick it up and a nice suggestion would be to release it on PSN day one. Any plans for day 1 digital release? That depends on territory and not a game team decision, trying to check on stance for SCEA now. Stay tuned. I’m thrilled. I hope it launches on the PSN as well. Sony, I want to ask my family members for this game for Christmas. We’ll have a blast. For customers like me who prefer digital vs. physical media, it would be excellent if I could ask people this christmas to go buy a voucher with a download code for this game. It could be a small cardboard card with sports champions 2 on it with a scratch off voucher. That way, they’d feel like they were getting me the game, I wouldn’t have to worry about the disc, and you guys would get more on the sale since you don’t have to worry about manufacturing the disc. I know I cuold just ask for a $50 PSN card, but this would be more fun for my family members to purchase. Please consider selling voucher codes in some fashion at the retail level. I enjoyed the first one, but I won’t buy part 2 unless online play is included. why is that not a priority? The first one should have had it, and now you still don’t mention it for the sequel. A complete waste in what could be an amazing online multiplayer experience. No Online, No sale for me. Sorry to hear that KidCommando, maybe next time. Sony, you must have some big stuff planned for your E3 press conference (I hope)! You could have easily held this, and everything else you’ve pre-E3 announced for a mere 4 more days . . .My expectations are high! And to stay on topic… Sports Champions 2? Day 1 purchase! Thanks for the support aro52. Yes on 3D and answered above in detail but no online multiplayer. Great news! This game is going to be so fun! Awesome news, the lineup sounds fun! How about throwing in Disc Golf with all new courses? Please add Frisbee golf to the lineup. That is all my friends and I play anymore. We have been waiting for a new sports game to come out with Frisbee in it cause we have played all the holes so many times. We have also been holding out hope for online play on it. Without Frisbee golf I don’t think I’ll buy this maybe just rent. Please add Frisbee golf or make it its own game you would have me and my friends sold. And it looks as if many others would want it too. Add disk golf to that and I’ll buy! That was my favorite along with archery but I really want some more disk golf. Looks like a blast! I was wondering if these sports are being added to the existing sports from the first game, or are these going to be the only sports on the game? I love the addition of golf and tennis but would miss disc golf, volleyball, and bocce ball. I will probably pick it up either way. These were the key sports missing from the first one. it seems kinda late now. putting them in this new one, makes the game seem old or short. maybe some new sports should have been put in, to feel more fresh. Balancing number of events versus depth of gameplay per event is always tricky. The formula for SC2 is very similar to SC1 in this regard.